Chennai: Tamil Nadu's arch-rivals, the All India Anna Dravida Munnetra Kazhagam (AIADMK) and the Opposition Dravida Munnetra Kazhagam (DMK) will face off in eight constituencies of Tamil Nadu in the upcoming Lok Sabha elections. Both the parties will contest in South Chennai, Kancheepuram (SC), Tiruvannamalai, Tirunelveli, Mayiladuthurai, Salem, Nilgiris (SC) and Pollachi. Both AIADMK and DMK are contesting in 20 seats each in the state, allotting the remaining 19 to their allies. Thambidurai will seek re-election from Karur, while P Venugopal and J Jeyavardhan - MPs from Tiruvallur (SC) and South Chennai respectively - will contest from the same constituencies as the previous time. The ruling party, which has allotted 19 other seats in Tamil Nadu to its allies, including the BJP and Paattali Makkal Katchi (PMK), released its list of candidates after deliberations at party headquarters on Sunday evening. 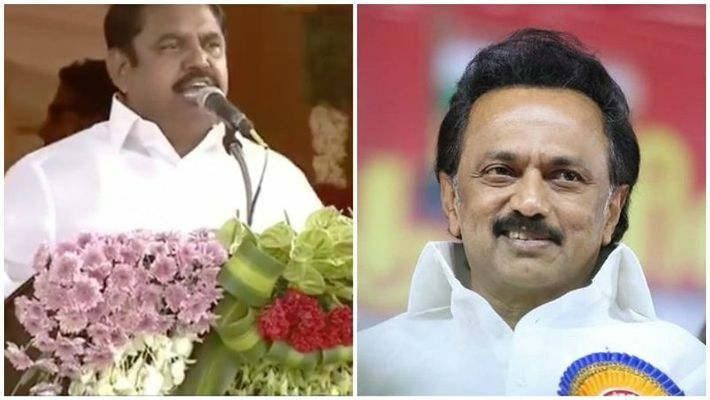 Earlier in the day, releasing the list of candidates, DMK president MK Stalin said Dayanidhi Maran would contest from Central Chennai, A Raja from Nilgiris (SC) and TR Baalu from Sriperumbudur constituencies, which they had won in 2009. Rajya Sabha MP and Stalin's sister Kanimozhi, for the first time, will be trying her luck in the Lok Sabha polls as she had been fielded in Thoothukudi constituency in southern Tamil Nadu.